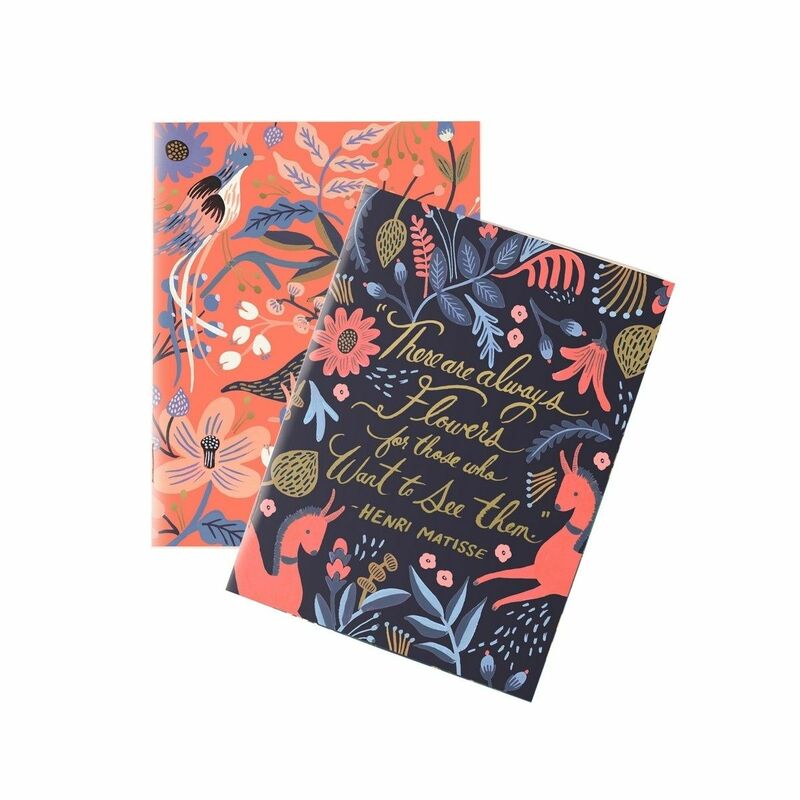 Lovely set of 2 pocket notebooks Folk from Rifle Paper Co. Covers in two colors: black and coral, both with colorful ethnic patterns. On black pocket notebook golden inscription.